Welcome – Cochran is 89 Years Old and We Are Charging to 90! – Cochran Avenue Baptist Church -Celebrating 90 Years of God's Faithfulness and Love! We are the growing church on the hill where everybody is somebody and Jesus Christ is Lord of ALL! Cochran is One Family of Faith serving God’s people! We invite you to browse our website and share in the divine mission that God is entrusting to His children at Cochran Avenue Baptist Church. Under our God sent Shepherd, Pastor Charles Johnson, we are maturing in the Word of God, being spiritually strengthened and re-focusing our vision on the things of God. As our website develops you will be able to travel this journey of Faith with us as we win souls for the Kingdom of God. 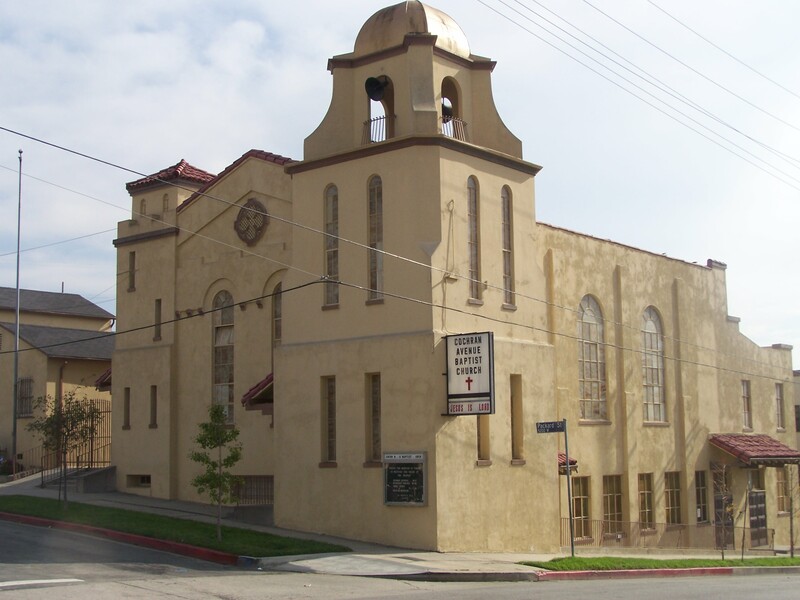 Explore the miraculous anointing on Cochran as you navigate through each page and remember, the doors at 1304 S. Cochran Avenue, Los Angeles, CA are always open. Community Service – 8:00 a.m.
C.O.R.E. (Sunday School) Classes – 9:00 a.m. Morning Service – 10:15 a.m.
Bible Study – Tuesday – 12:00 p.m. – 1:00 p.m. and 7:00 p.m. – 8:00 p.m.
Join us in Praising God and Thanking Him for His Goodness & Mercy, His Joy, Love & Peace, His Power & Provision, His Blessing & Favor working in our lives!